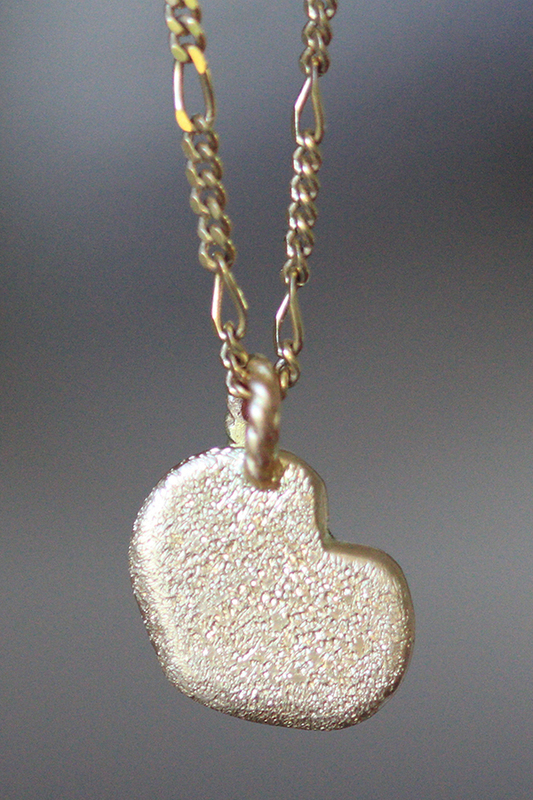 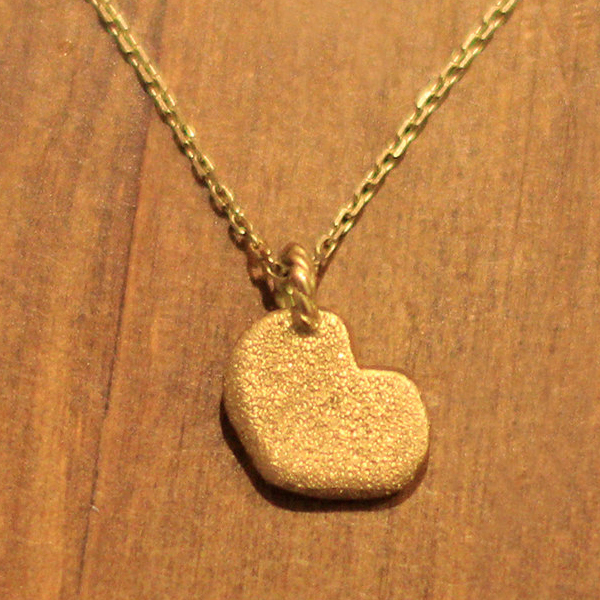 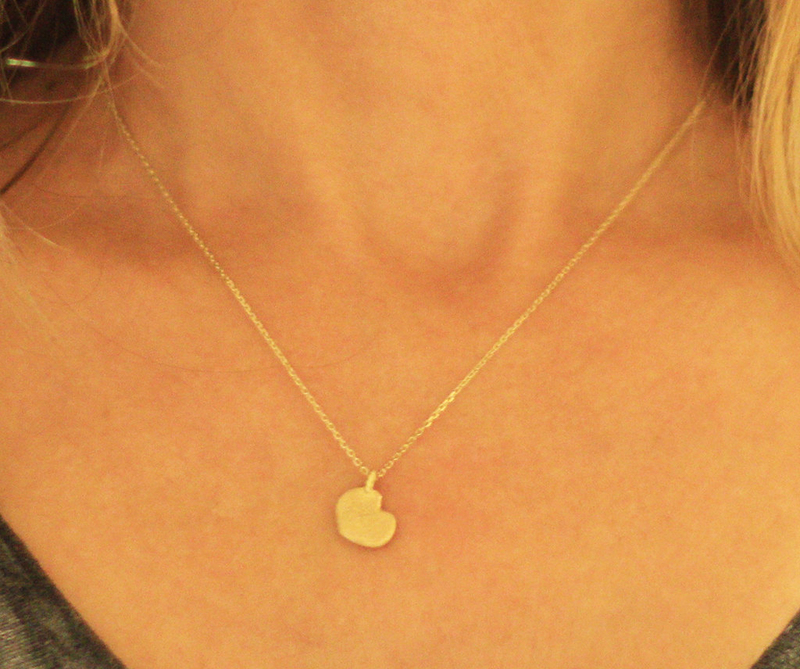 Mini organic shaped heart in solid 18 K yellow gold, textured heart with a twist hangs on a 16 inch, 14 K gold chain. 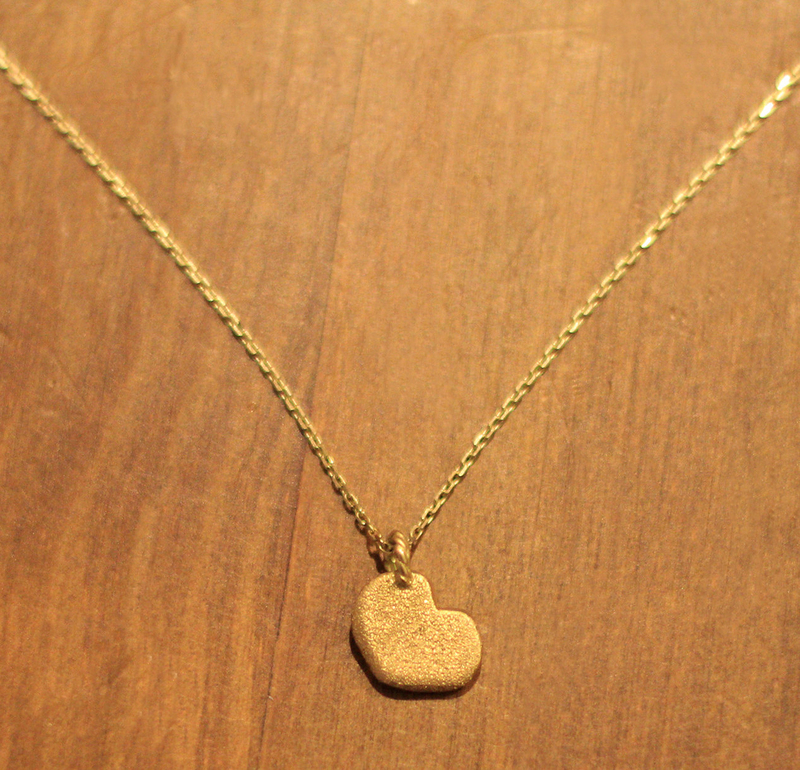 Show you care for her by giving her your heart. 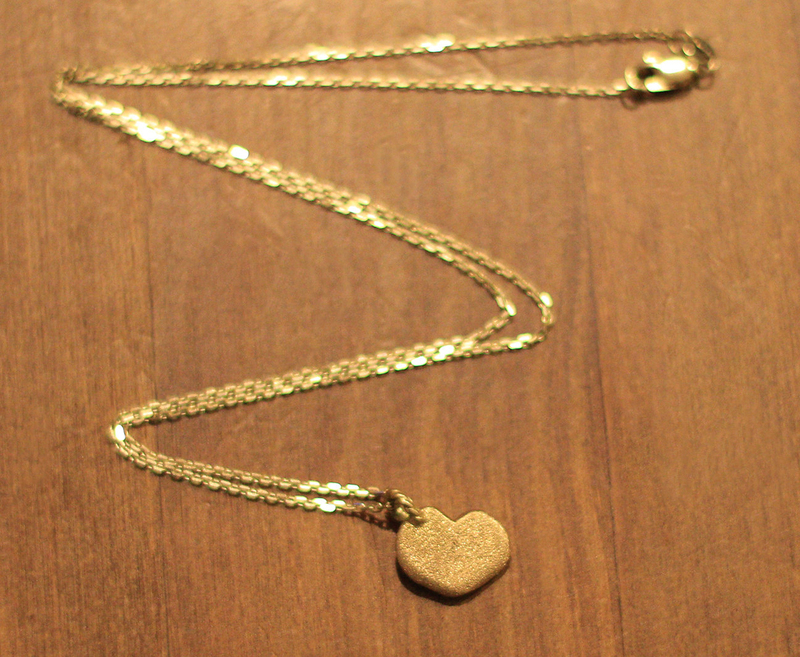 An absolute charmer for everyday wear.